Our latest catalogue launched last week and with it brought a whole new bunch of great deals. 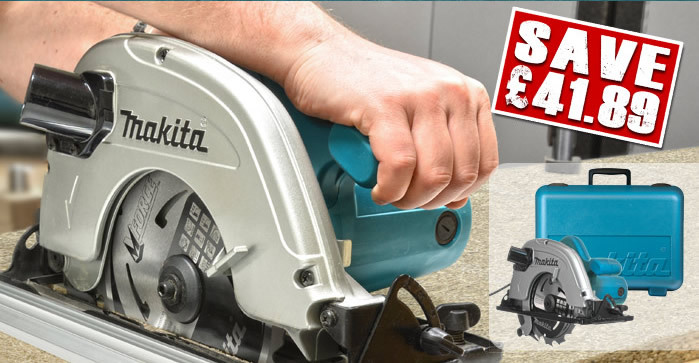 Our frontpager this time is the Makita 5704RK 190mm Circular Saw at only £99.99! Not only is that a great value price but you also get a Makita TCT blade and a clamp guide worth £41.89 absolutely free. Yep, that’s basically everything you need to be set up and raring to go! If you want to get the most up-to-date deals and offers from ITS, be sure to sign up – just click here! « MAKITA FACEBOOK COMPETITION WINNERS!